Get your kids looking good for their first day with a free haircut at JCPenney salons! 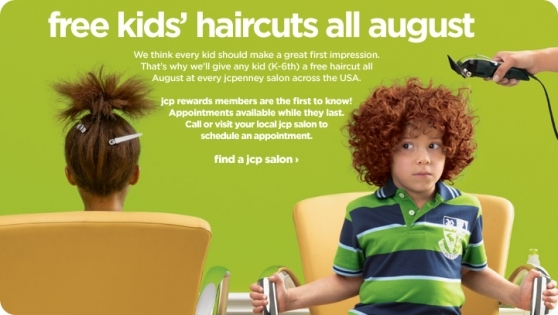 Through the month of August, every JCP Salon across the USA is offering free haircuts to kids in kindergarten through sixth grade. Be sure to schedule your appointment now, because they’ll fill up fast. Go here to find a salon near you.